In the Spring garden,I think I just might have over planted kale. No….I know I did. 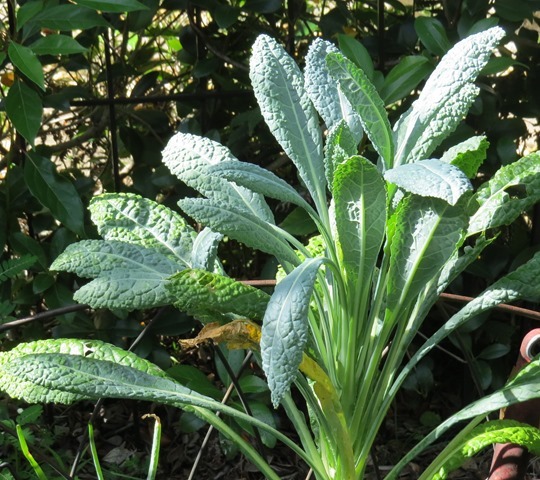 Curley leaf Kale.I planted over 8 plants.Perfect for salads,as long as you massage it first with olive oil,and good for sautéing.Seems to take the heat well.I planted this last year and it did well,so I tried it again this year.I’ll plant this variety again. 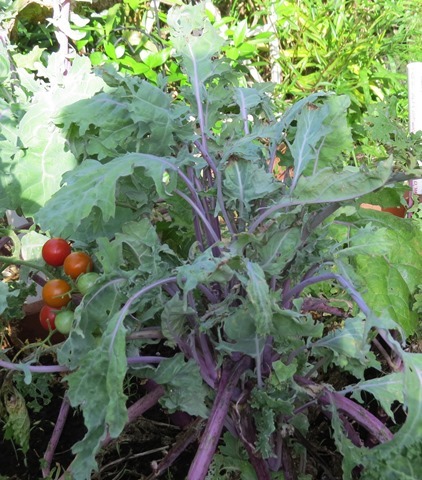 Russian Kale.It’s not heat tolerant,at all! I think I will try it again,in the Fall garden.I think the heat,here,has given it a bitter taste.So,it shall wait for Fall. Notice the grape tomatoes taking over? This a straight leaf variety(I forget the name).It doesn’t seem very heat tolerant,and takes a lot of water.It’s growing under an arbor thingy – is that a gardening word? that I made for the pole beans to grow on (I’ll do a post on that,later).Which gives it some shade.But it seems like something likes to gnaw holes on it.I’ve looked for whatever bugger it is,but I can’t find it.It still tastes good,though.But it might do better in the Fall garden.I’ll try it again. I figured I’d make some kale chips. 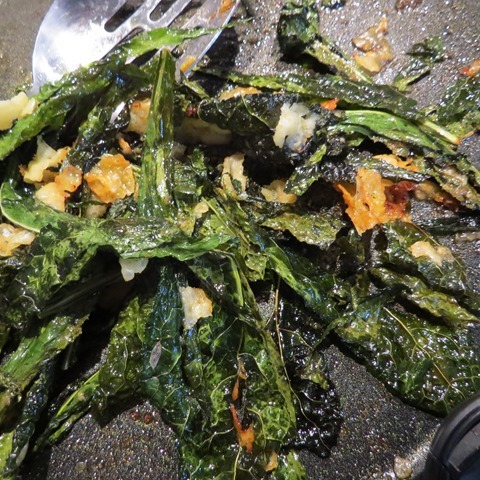 I used the straight leaf kale,making sure it was very dry.I’ve made this with the Curly Leaf variety,but the straight seems to do better with this.After cutting out the center vein-that is way too tough to eat,so make sure you cut that out-I spread it on a cookie sheet.Sprinkle it with olive oil,garlic powder,and parmesan cheese.Put it in the oven at 300* for 30 minutes or so.Make sure you keep an eye on it and take it out just as it starts to get crispy and sprinkle it with kosher salt and if you prefer,more cheese. Makes a great snack,and crumbled up and added to a salad. Have an over abundance of anything? If you do,how do you deal with it?